Since my insurance company no longer covers Humalog, I'm moving to Novolog. My only prior experience with Novolog was my brief stint with an insulin pump. 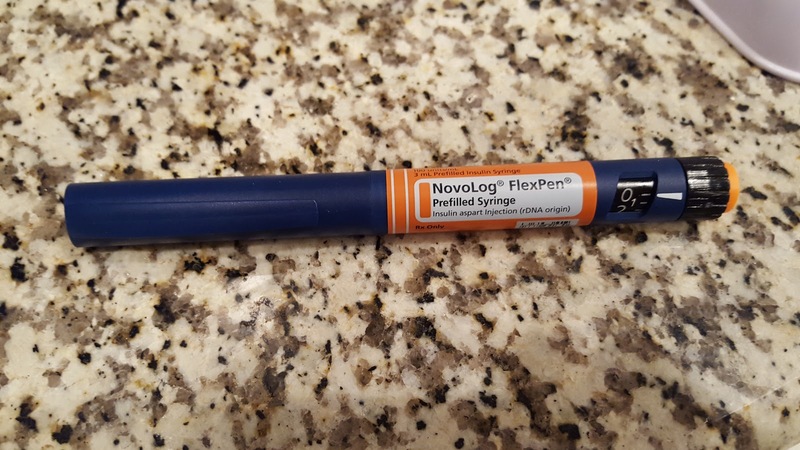 I don't expect a major difference in my insulin regimen to arise, since the difficulties I had with the insulin pump were unrelated to the kind of insulin I was using. There are a few differences between Novolog and Humalog. Some of these differences are clinically relevant, and others are known only through the gossip channel of the diabetes community. My inclination is to trust the clinical data and distrust the gossip. However, the gossip does provide a useful indication of "what to watch out for." The first one that I'm looking forward to is the fact that Novolog is less sensitive to temperature than Humalog is. That's important here in the Texas heat. I can't tell you how many times I've fried my Humalog doing something completely harmless, like going for a walk. Yes, I do use a FRIO, and that helps quite a bit, but it isn't a "perfect solution." There isn't a perfect solution, of course, but having an insulin that is less sensitive to temperature will surely help. The second difference is part-clinical and part-gossip. Humalog is known to be a bit more rapid-acting than Novolog. I seem to recall that in Dr. Bernstein's book, Humalog's time to action was on the order of 5-10 minutes, while all the other rapid-acting analogues are just more like 10 minutes to action. The packaging for all rapid-acting analogues suggests a 15 minute time-to action. 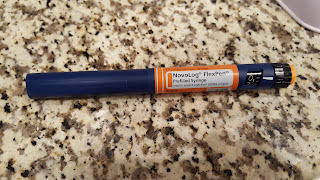 Semi-related to the time-to-action issue is the notion - and I believe this one is mostly gossip - that Novolog has a "longer tail," meaning that it takes a little longer for Novolog to work its way out of the system. I am not sure how true this is. Even rapid-acting insulin stays in the system for a long time, much longer than the clinical data would indicate, but of course the question isn't whether the insulin is there, but whether it is there in sufficient quantities to impact how we use them. Time will tell for me here, but I'm not too worried since my current routine calls for exercise no sooner than three hours after any meal, and meal times that are spaced at least 4 hours apart, and usually more like 5 or 6 hours apart. There is conflicting information about carb ratios. The clinical data - and my previous experience - suggests that there is no difference between Humalog and Novolog in terms of how much a patient needs for the same amount of food. The gossip channel seems to report that one or the other requires more insulin for the same effect. Usually, the suggestion is that one needs more Novolog than Humalog. I suspect, however, that a patient's diet has a big impact on this. The more carbohydrates a person eats, the likely they will need more Novolog than Humalog because Humalog acts sooner and supposedly has a steeper "peak." The less carbs, and more fat, a person eats, the less likely this is to happen, and in fact Novolog might make things better for such people. As for me, I'll just have to see how it goes. I'll write an update in a few days.